The Ultra 249 Predator II chrome wheel is available in 18x9, 20x9 and 20x12 sizes. The Ultra Predator II is available for most trucks, SUVs and Jeeps. Standard, aggressive and lifted truck fitments are available. 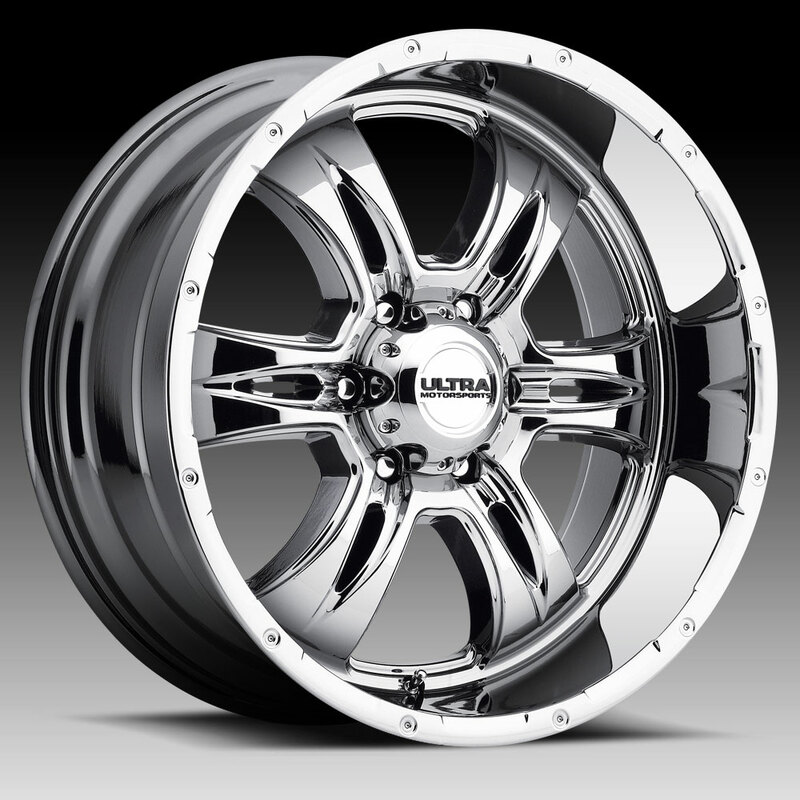 Free shipping on all Ultra 249 Predator II custom wheels. Several sets available but they are selling quickly. 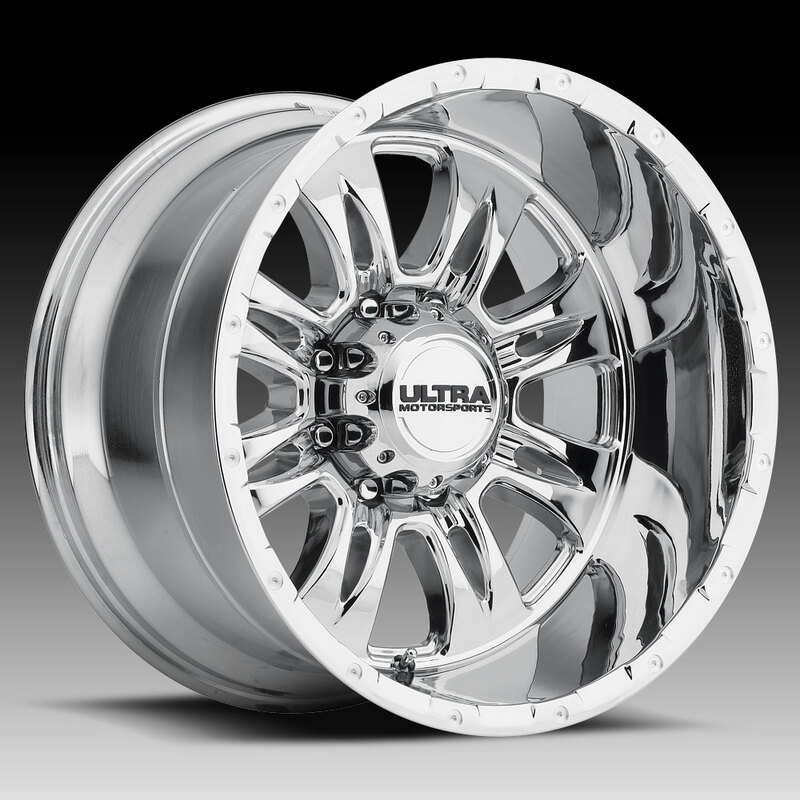 Ultra has been pioneering the Truck, Off-Road and Muscle Car wheels for over 25 years. They have a passion for building quality custom wheels that stand up to the brutal elements. 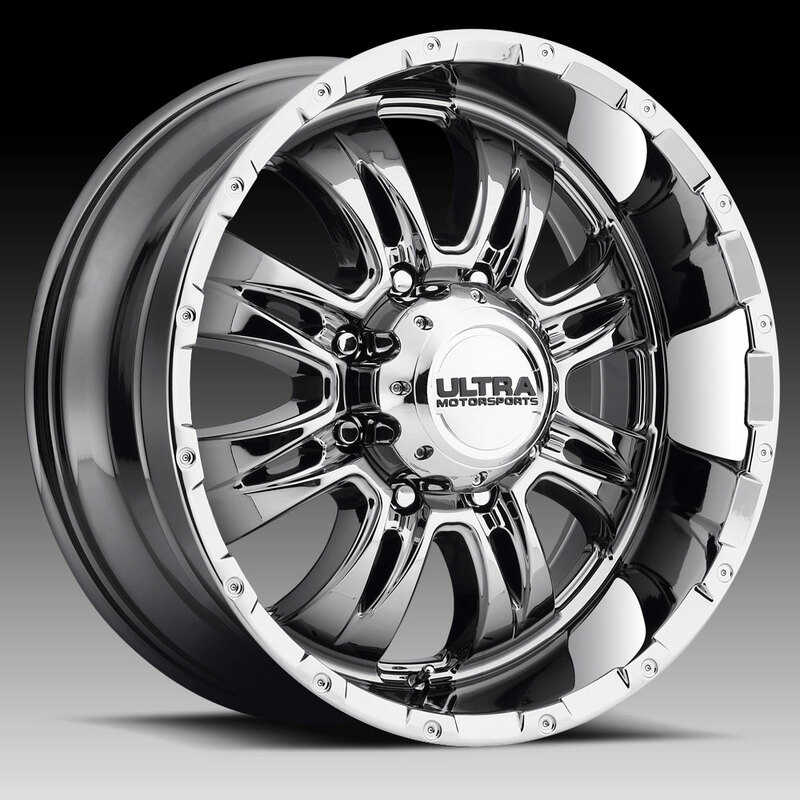 Whether you're looking for an off-road truck wheel or a mean muscle look, Ultra Wheel has what you need. Free Shipping on all Ultra Custom Wheels. This product was added to our catalog on Saturday 20 December, 2014.